Bhubaneswar: “Four things are very important in everyone’s life to excel. 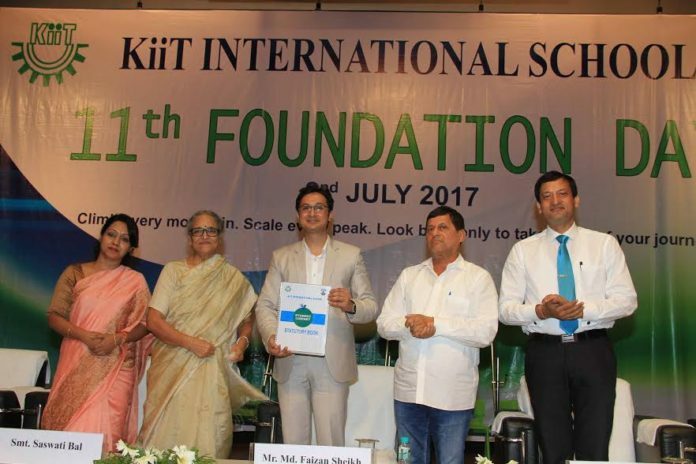 The four things are: Energy, self- confidence, happiness and good health”, said Faizan Sheikh, youngest Indian motivational speaker at the 11th Foundation Day of KiiT International School. Addressing the students of the school, he said, one should have sufficient energy and self-confidence to achieve the highest level of success in one’s life. “You should also keep yourself happy and physically fit to get the success in life. One should never lie to oneself to get success. Whenever opportunity comes to your life in any moment, you should catch hold on it. This opportunity makes you confident”, he advised the students. Addressing the gathering, Dr. Achyuta Samanta, Founder, KIIT & KISS said, while the sprawling lush green campus, the architecture and the infrastructure of KiiT International School can be compared to any luxurious star hotel, the education and training imparted here are no less than the best public schools of India. Teaching-learning process in this School is comparable to British schools, quality of teachers is as good as Doon School and educational ambiance and discipline are comparable to Lawrence School of Ooty, he stated. Prof. Samanta admired the role of Chairperson, Principal, teachers and the employees for which the school has held its standard and is forging ahead. Smt. Saswati Bal, President, KIIT & KISS advised student to be good in life, while Dr. Mona Lisa Bal, Chairperson of the school gave welcome address. Dr. Sanjay Suar, Principal read the report of the school. Student Cabinet of the School for the year 2017 took oath, while students excelling in different fields were awarded on the occasion.